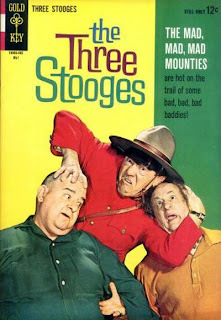 Starting out at Harry Chester's studio in 1940, Irving Novick first professional work was with Archie Comics drawing The Shield and continuing with the company until he later enlisted in the Army. 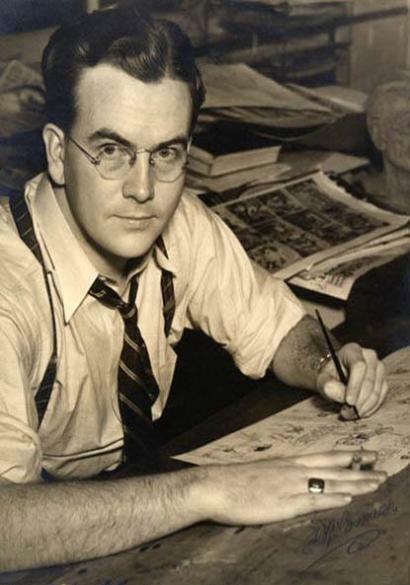 After the war in 1946, Novick freelanced for DC Comics where he illustrated romance and war titles with his friend and writer Robert Kanigher, as well as working on his syndicated comic strip Cynthia from 1949-1956. 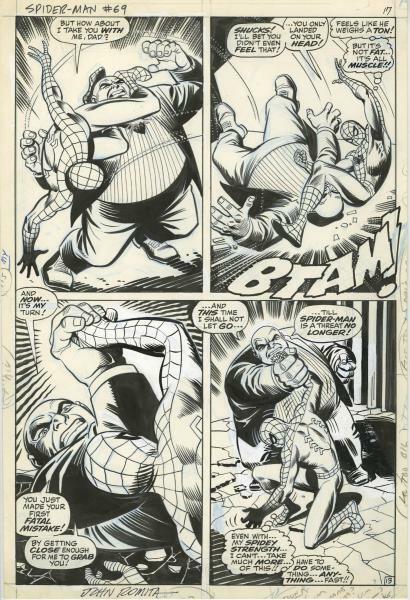 Leaving comics for the Johnstone-Cushing advertising agency to become an art director, DC once again came calling, asked Irv to return and providing him with a generous contact, unheard of at that time. 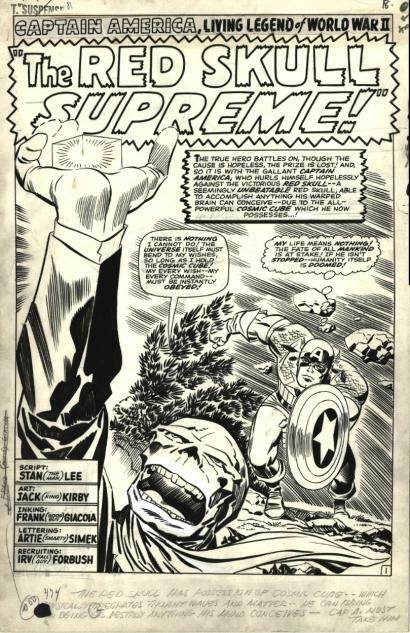 The artist got all kinds of perks including a pension, better page rate, the right to work from his home, and the option to continue other freelance work in advertising. Working on the Hasbro G.I. 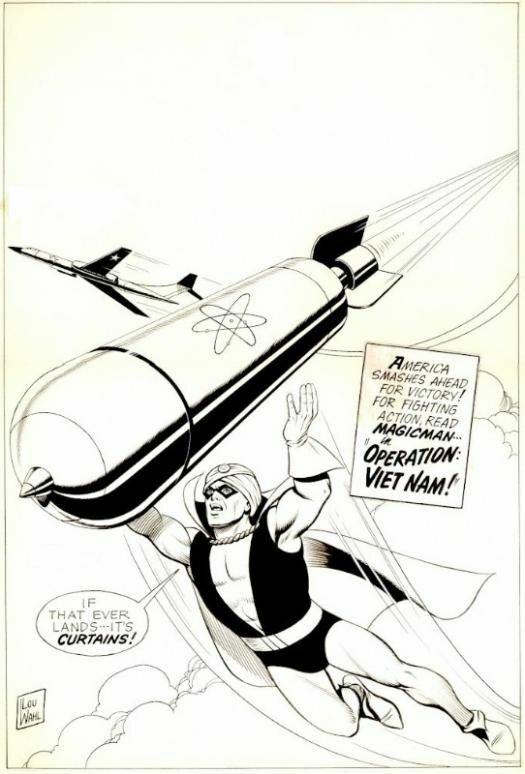 Joe campaign, the artist also drew Silent Knight for National's, Brave and the Bold anthology book and issues of the war title, Captain Storm. When Carmine Infantino took over as editor of DC in 1968, Novick was chosen to work with Julius Schwartz on the Detective Comics and Batman books. 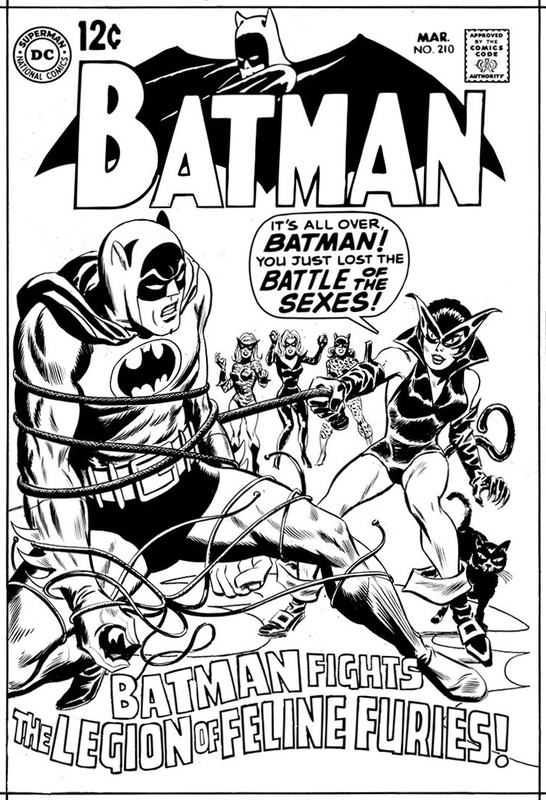 After drawing the character at its height of the TV show's Bat-Mania, Novick wanted to get back to Batman's roots with a darker tone and appearance. Lengthening his cowl ears a bit and spotting more blacks on the figures was the result on the first of Batman's continuity changes as in issue #217 for 1969, "One Bullet Too Many". 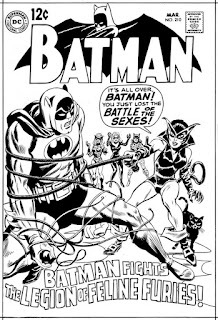 Throughout the 1970s along with Neal Adams and Jim Aparo, Novick illustrated some of the most memorable Caped Crusader stories bringing back some old villains, and introducing new ones for the fans. Never one to miss a deadline, this consummate professional also did a number of Robin back up stories before being picked to draw The Flash as full time penciler from 1970-1979. 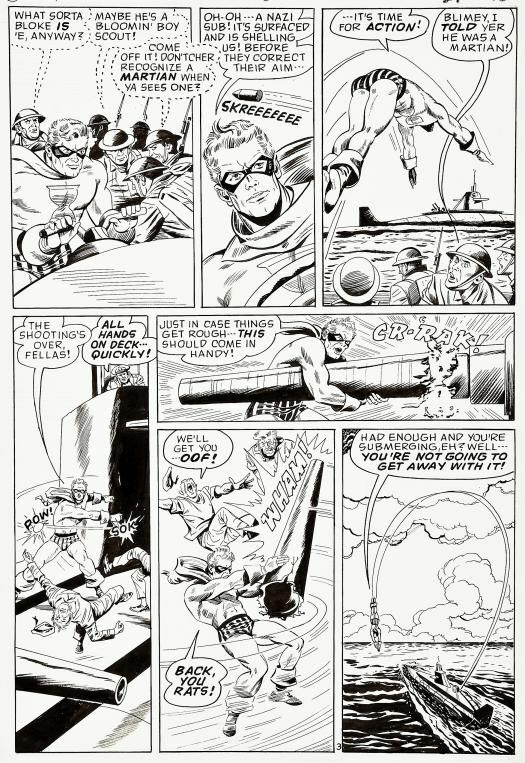 Novick continued with DC on other series and projects until he retired from comics in 1986, gaining the undying respect of his fellow artists and editors as a true professional. Born in time to see the last week of the nineteenth century...in Texas. Trained two months in World War I, then the enemy quit. Studied four years at Southern Methodist University and edited the 1922 yearbook. Spent summers touring the United States on the "blinds" of passenger trains, and six weeks at the Chicago Academy of Fine Arts. While free lancing in Dallas I sold a few gag cartoons to"Judge", married Betherl Burson, and headed for New York City. Did magazine illustration ,including Saturday Evening Post, Red Book, Ladies Home Journal, till 1929...then to Colorado for three years, drawing with one hand and rearing a heard of ungrateful sheep with the other. Pet hates...sheep, bigots, male singers, and their screeching fans, revivalists. In 1937 I pinch hit for Roy Crane on Wash Tubbs while he frolicked in Europe. Stayed on as assistant till he left for greener pastures, then took over Captain Easy. Wrote and drew strip, and later the Sunday. Have three married daughters. Home in Orlando, Florida...ambition - to hold on till Social Security. 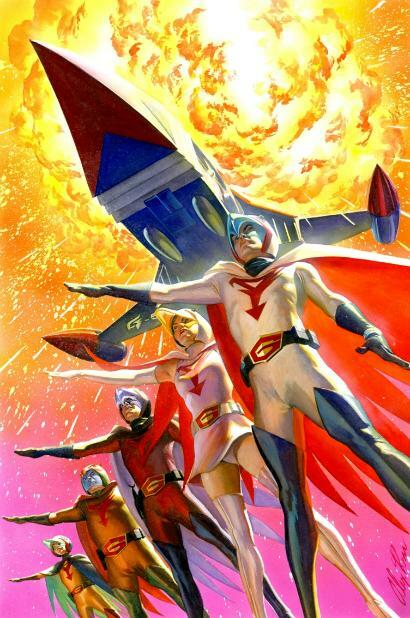 American Comics Group had been around 23 years doing war, romance, horror, humor, mystery and other titles before it finally decided to publish two superhero books before its demise in August of 1967. Editor Richard Hughes had never cared for the genre, but felt pressure from readers to give it a try with sales slipping and cancellation of books. 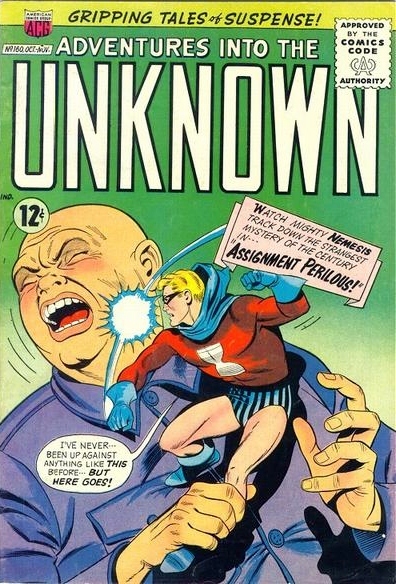 Sticking with his fantasy and horror roots, he first created Magicman whose debut appearance was in Forbidden Worlds #125 for January 1965, followed one month later in the pages of Adventures Into The Unknown #154 with the ghostly hero called Nemesis. Written by Zev Zimmer, (one of Hughes numerous pseudonyms) and drawn by Pete Costanza, the covers were graced by the slick artwork of Kurt Schaffenberger who was moonlighting from his exclusive contact at DC comics. 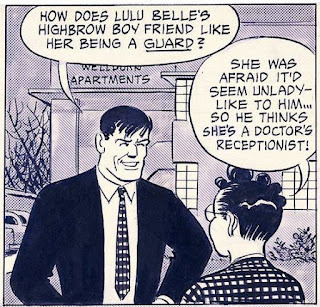 Editor Mort Weisinger wanted Kurt to work only on his Superman Family titles so his ACG covers were credited to the fictional Kurt Wahl or to Pete Costanza, though Schaffenberger's distinct style was hard to miss. Tom Cargill's alter ego was that on the mysterious Magicman who inherited his strange powers from his 18th century wizard relative named Cagliostro. A Vietnam vet whose old war buddy, Sergeant Kilkenny, became his side kick in civilian life, the two have some wild adventures for the fifteen short tales over the two year series. 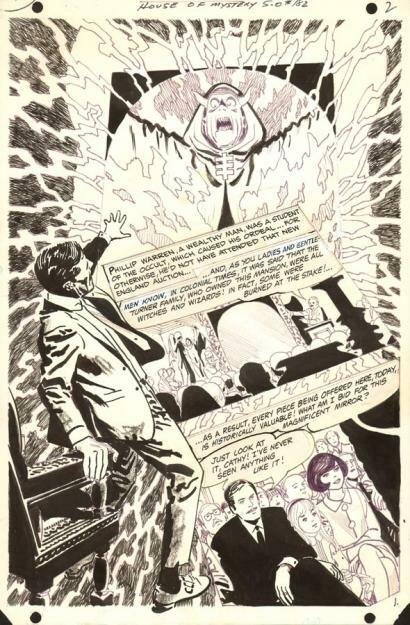 The unusual story lines played off of Magicman's many powers including flight, super strength, extra-sensory perception, telekinesis, creating tornadoes and nightmares, changing into animals, and other magical feats. Magicman's villains were an almost exclusive men's club including rogues like Garbageman, Monkeyman, Pigman, Moronman, Pizzaman, Halfaman, Frogman, and the fem fatale, Dragonia. Interesting enough, the superhero Nemesis shared most of the same villains in his stories. Similar to DC's Spectre and Deadman characters, Nemesis became a superhero after he died. Steve Flint was a crackerjack detective working for the Department of Justice trying to build a case against a mob boss named Goratti. When the gangster found out about the the G-man's plans, he had Flint quickly murdered being hit by a train. Now in the afterlife, waiting to be processed by the Grim Reaper, Flint bargained his way back to life to avenge his murder and after disposing of the mobster, became the permanent "Guardian of the Mortal Realm" taking the name Nemesis. 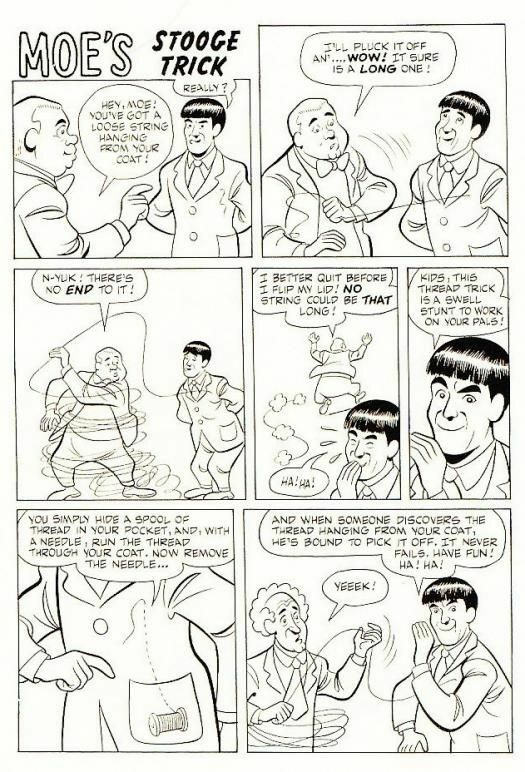 The ghost's super powers included invisibility, flight, super strength, time travel, and to communicate telepathically and change his size at will. A strong light source was his greatest enemy that was used against him many times on his earthly visits. 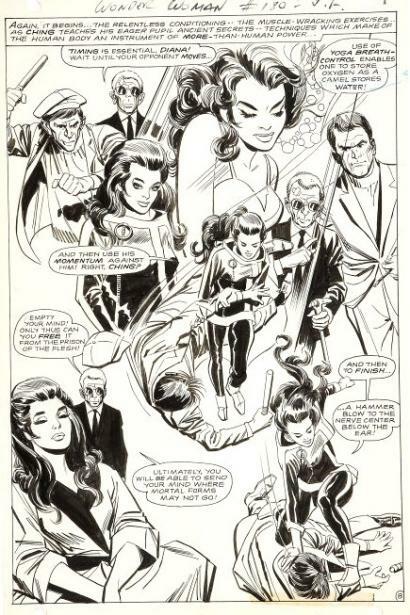 With most of his adventure drawn by artist Chic Stone, Hughes now under the pen name Shane O'Shea, wrote some comic relief as he had Nemesis try to keep up his relationship with his former girlfriend, Lita Revelli Craig, while still being a spectre. 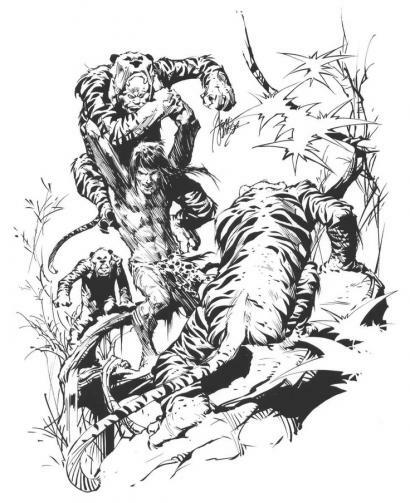 Only lasting for fourteen adventures Nemesis's series ran exactly two years ending in February of 1967. 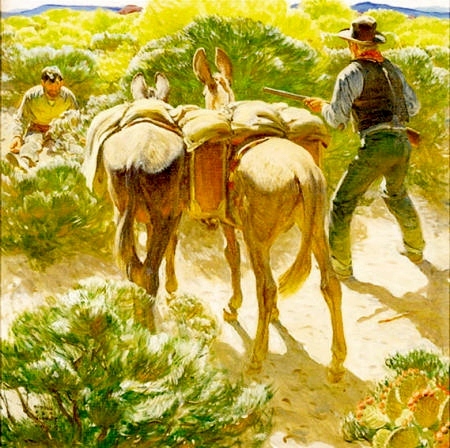 An orphan at the age of five, Harold Von Schmidt was raised by this grandfather in California, a "Forty Niner" whose stories of the old West fascinated the youth. As a young man, Von Schmidt worked as a cowhand and lumberjack, subjects that can later be seen in his rustic paintings after his studies at the San Francisco Art Institute and the California College of Arts. 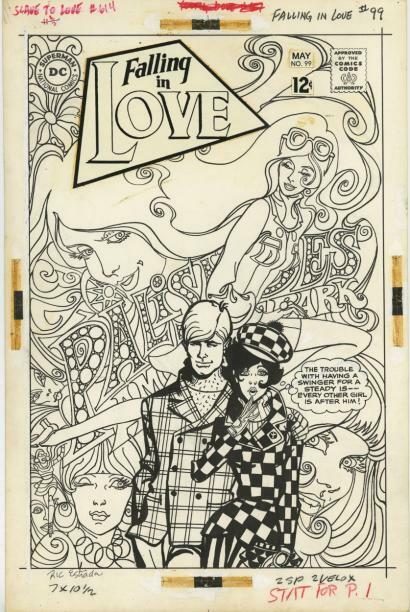 He became an art director at Foster & Kleiser doing mainly illustrations for Sunset Magazine. 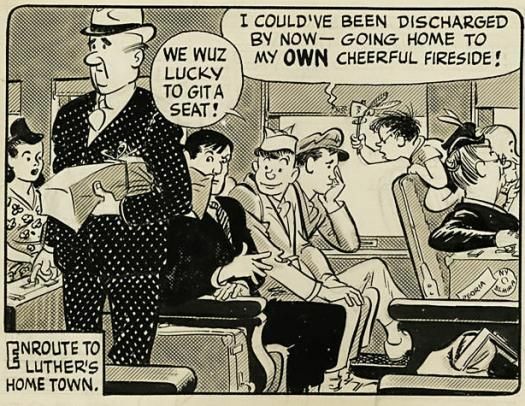 The artist did posters in WWI for the U.S. Navy and became an art-correspondent for the U.S. Air Force and King Features Syndicate during World War II. 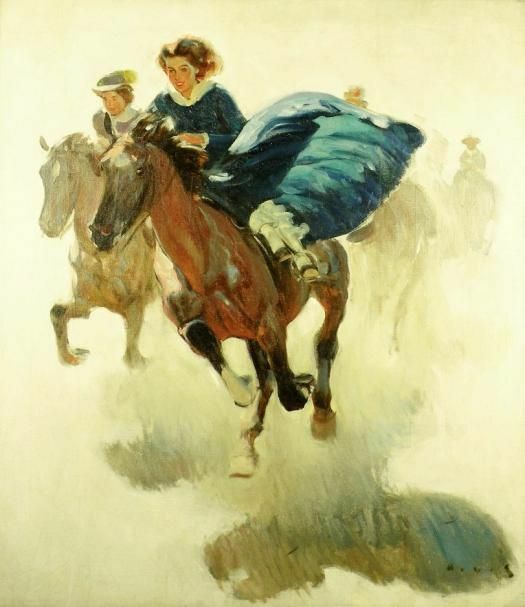 Studying with artist Harvey Dunn in the mid-twenties, he learned to paint the epic, not the incident, which lead to years of illustrations appearing in virtually all the major magazines filled with drama and action. Some of his best Gold Rush paintings are in the California Governor's office in Sacramento, as five of his classic Civil War scenes grace the walls of our West Point Military Academy. An officer in the American Indian Defense, Von Schmidt also won the the first gold medal awarded in 1968 by the National Cowboy Hall of Fame. 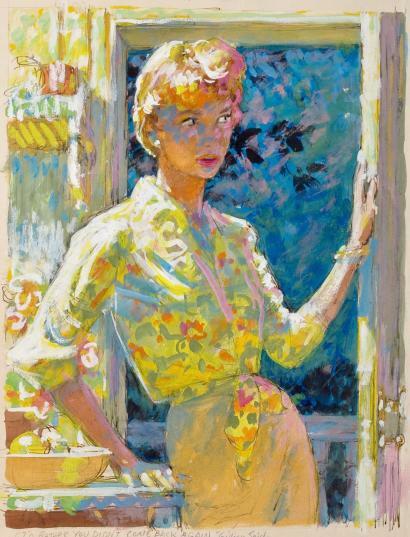 Truly an artist's artist, Harold served as President of the Society of Illustrators from 1938 to 1941 and was a founding faculty member of the Famous Artists Schools based out of his home town in Westport, Connecticut.